Thank you for the comments, appreciate it! Is it a composite? Great job. It is a composite! 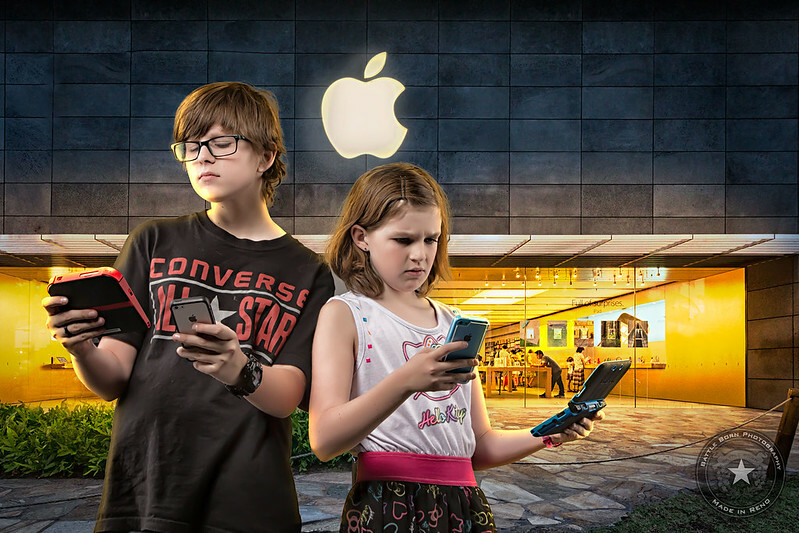 The kids were shot in studio and the Apple store image was shot on a recent trip to Waikiki. What, no headphones or a bluetooth ear thingy? Good job on the comp. Have to post on this and say excellent shot. I am also impressed on the post process.